By Bob Elliott The Ontario Blue Jays knocked off the Ohio Surge in the opening game of the 13th annual Perfect Game WWBA Underclass World Championship at Fort Myers, Fla. But that was the best that the Jays could do in round-robin play, losing the next two games. The Surge went on to win its pool with a 2-1 record as games in the 216-team tournament were played on the spring training fields of the defending World Series Boston Red Sox -- until the end of the month -- and the Minnesota Twins, area high schools and Terry Park. The Jays edged the Stars Baseball 16U Gold by a 7-6 score in a consolation round game. Meanwhile, four Oktoks Daws -- RHP Zack Demchenko (Saskatoon, Sask.) OF Clayton Keyes (Calgary, Alta. ), OF-1B Justin King (Okotoks, Alta.) and C Luke Lepine (Calgary, Alta.) -- were with the Indianapolis-based Pony Express which went undefeated to win its pool before losing the first round of the playoffs. Farid collects 2 RBI in Blue Jays’ victory Gm #7 | 10/9/2014 | 4:00 PM Ontario Blue Jays vs. Ohio Surge The Ontario Blue Jays defeated the Ohio Surge 5-4 in their first game of the tournament. George Farid (2016, St Aloysius Gonzaga HS, Ont.) led the way for the Jays’ offense going 1-for-2 with a run scored, 2 RBIs, one stolen base and one walk. William DaCosta (2016, St Jean Baptiste HS, Ont.) added in a 2-for-4 day with two runs scored and Troy Daring (2016, Heart Lake HS, Ont.) went 1-for-1 with an RBI, a stolen base and one walk. Kyle Symington (2016, Corpus Christi Catholic HS, Ont) started and earned the win for the Jays going five innings allowing three runs -- one earned -- on two hits and three walks, while striking out one. Symington featured a 78-83/84 mph fastball and mixed in a 67-71 mph curve ball. For the Surge, Brent Todys (2016, Westerville-North HS, OH) went 1-for-2 with one double, an RBI and 1 walk, while Jeremiah Clarke (2016, Westerville Central HS, OH) went 1-for-2 with three runs scored, one stolen base and a walk. Jack Griffin (2016, Bloom-Carroll HS, OH) also showed well going 1-for-3 with two RBIs. Thompson’s bat key in Suncoast W Gm # 54 | 10/10/2014 | 8:30 AM Ontario Blue Jays vs. Suncoast Select Old Hickory 2017’s The Suncoast Select Old Hickory 2017’s defeated the Ontario Blue Jays 6-3 to pick up their first win of the tournament. Garrett Thompson (2017, Tampa Bay Technical HS, FL) led the way for the Suncoast offense going 2-for-4 with a run scored and two RBIs. Mike Smith (2017, Gulf HS, FL) added in a 1-for-3 day with a double and an RBI. Christopher Williams (2017, Boca Ciega HS, FL) also impressed going 2-for-3 with a run scored and Josue Erazo (2017, Gulf HS, FL) went 1-for-2 with a double, two runs scored and a walk. Pierce Kimbrough (2016, Hernando HS, FL) started and earned the win for Suncoast tossing all seven innings allowing three unearned runs on four hits and two walks, while striking out five. Kimbrough used a short arm action and smooth, balanced delivery with his 73-75/77 mph fastball and mixed in a 64-68 mph curve ball. For the Blue Jays, Troy Daring (2016, Heart Lake HS, Ont.) used an aggressive approach and showed power potential going 1-for-3 with a double and 2 RBIs, while George Farid (2016, St. Aloysius Gonzaga HS, Ont) showed excellent bat speed going 2-for-3 with a double and a run scored. Looney powers Canes to W Gm # 197 | 10/11/2014 | 8:30 AM SBA Canes vs. Ontario Blue Jays The SBA Canes defeated the Ontario Blue Jays 9-1 to improve their record to 2-1 in the tournament. Dean Looney (2016, David W Butler HS, NC) helped power the Canes’ offense going 1-for-3 with a three-run home run. Cross Holfert (2016, Scotland HS, NC) also impressed going 3-for-3 with a triple, a run scored, two RBIs and a walk. David Graves (2016, Homeschool, NC) added in a 2-for-2 performance with a run scored and Drew Little (2016, Piedmont HS, NC) went 2-for-3 with two runs scored. Christian Carpenter (2016, Metrolina Christian Academy HS, NC) started and earned the win for the Canes tossing four strong innings allowing one unearned run on two hits and two walks, while striking out six batters. Carpenter featured a 79-83/85 mph fastball and mixed in a 66-68 mph curve ball. 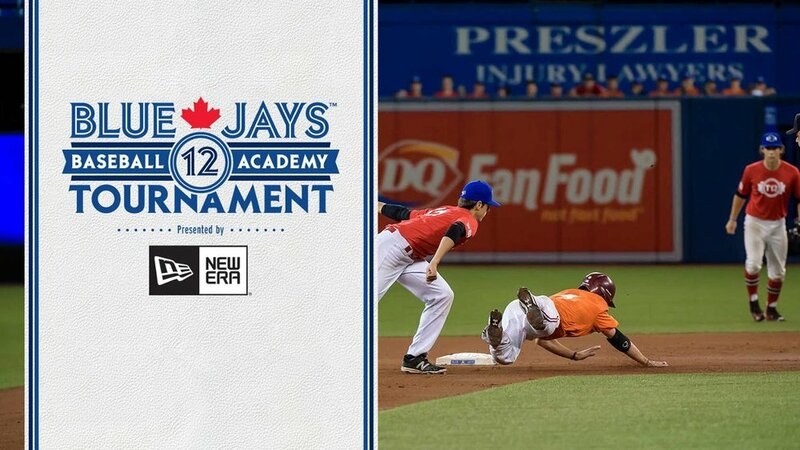 For the Blue Jays, Sid Elford (2016, Lorne Park Secondary HS, Ont.) went 1-for-2 with a double and an RBI. In the consolation round ... win, Luke Van Rycheghem (2016, Bridgeton, Kent Bridge, Ont.) had three hits and three RBIs in support of Taylor Leppard (2016, Leaside, Toronto, Ont. ), who pitched five innings. Jakob Newton (2016, Oakville Trafalgar, Oakville, Ont.) had a pair hits and knocked in two. Andrew Katz (2016, Bill Crothers, Thornhill, Ont.) and Jacob Title (2016, Vaughan Secondary School, Thornhill, Ont. ), with the save, worked an inning each. Pony Express wins 6-4 back-and-forth affair Cody Smith (2016, Avon, IN) recorded two hits and teammate Justin Reed (2016, Indianapolis, IN) drove in a pair of runs in Pony Express Baseball’s 6-4 win over IBAHS Knights 2017 Thursday night at Estero HS. Michael Alicea (2015, Trujillo Alto, PR) led the Knights with two hits, a stolen base and two RBI from the leadoff spot, while teammate Julio Canales (2016, Trujillo Alto, PR) went 1-for-2 with a double. RHP Tyler Blackington (2016, Camel, IN) worked 2.0 scoreless innings of relief for Pony Express. His fastball peaked at 80 mph and he also flashed an upper-60s curve. Pony Express plated 15 in win In a very high scoring game, Pony Express Baseball came out on top of FTB Sindone 15-10. Justin King (2016, Foothills Composite, Alta.) led the attack with a triple and four RBIs. Luke Lepine (2016, Bishop Carroll, Alta,) went 2-for-4 with a triple while Jakob Shuler (2016, Apollo, KY) singled in two runs. Blake Chitwood (2016, Roncalli, IN) did his part with two hits, one being a double, and three RBI’. Zach Demchenko (2016, Foothills Composite, AB) threw two innings. He struck out three and allowed two hits. Anthony Barone (2018, Father Lopez, FL) led Sindone with a triple that plated three runs. Pony Express Hang On for 4-2 Win The Pony Express Baseball jumped out to an early lead with three runs in the fourth inning, but had to fend off a late push from the Rawlings Hitters National Baseball Club 2016’s to take a 4-2 win and remain undefeated in pool play. The Pony Express offense knocked in five hits with all of them coming from different players. Blake Chitwood (2016, Roncali HS, IN) led the stat book for the Pony Express with a 1-for-3 game at the plate, picking up an RBI and a run scored. Justin Reed (2016, Lawrence North HS, IN) took home the win for the Pony Express after tossing a complete game from the mound, throw 115 pitches in his seven innings of work on the mound and allowing four hits and two runs, one earned, while walking seven and striking out none. Reed, a University of Indiana commit, showed good command and sound mechanics, staying tall on the backside of a two-pitch rotation featuring a fastball averaging 83 mph and topping out at 85 mph. Offense explodes for Gamers BigStix Gamers 17U Cardinal offense exploded for 11 hits in their 12-4 win over Pony Express Baseball. Jacob Garner (2016, Union Grove, GA) had two of those hits and drove in two runs. Antonio Johnson (2016, Martin Luther King Jr, GA) singled twice while George Boyd (2016, Pike County, GA) had a single and a double. Auliver Astin (2016, Newton, GA) plated three runs with a double and Keith Wilson (2016, Hurricane, GA) had two singles. Connor Nalley (2016, Whitewater, GA) threw three innings. He struck out five and allowed three singles. Jakob Shuler (2016, Apollo, KY) led the Pony Express with three singles and an RBI. 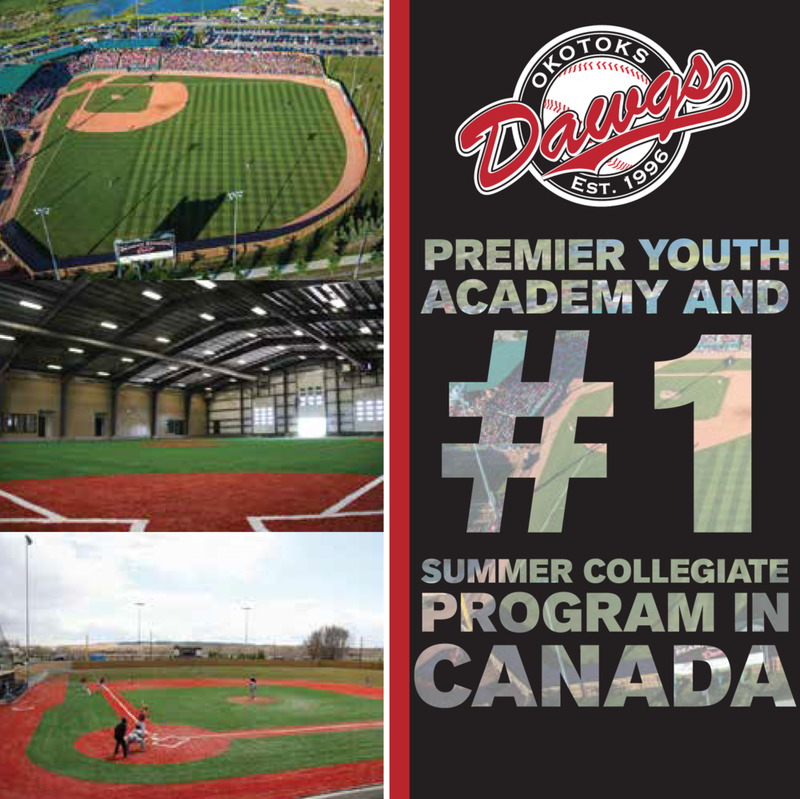 Observed Perfect Game veterana David Rawnsley: Center fielder Clayton Keyes (2016, Calgary, Alta.) from Pony Express Baseball hails from Canada but looked like he had a football body that belonged on the gridiron down in Texas or Florida. The 6-foot, 210-pound athlete’s best present tool, though, was his speed, which he showed off several times chasing down deep fly balls in center field.